Planning a romantic dinner at home for you and your significant other? 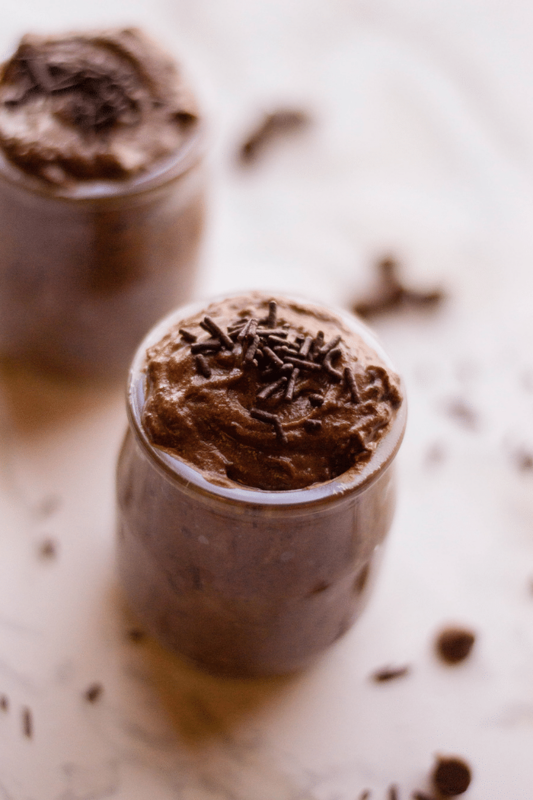 Sweeten the deal with this recipe for Chocolate Mousse for 2! 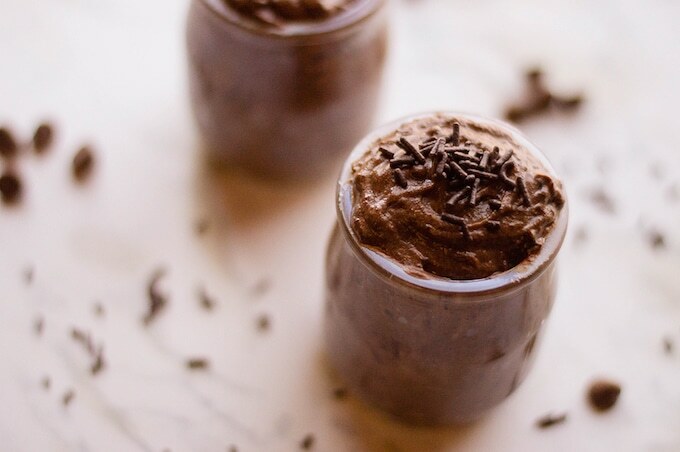 Dress up this Chocolate Mousse the way you love it! There are many ways to make this dessert even better. Add berries, nuts or marshmallows to make this treat even more special for your date night. 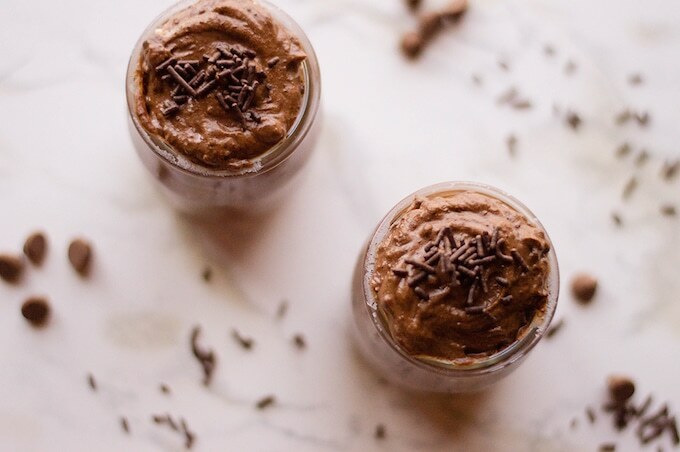 This Chocolate Mousse doesn’t have to be just for two – the more the merrier! This dessert is easy to whip up even if you’re serving it to your guests. Whether it’s sweet or semi-sweet, you can never go wrong with chocolate for dessert! Smooth and decadent mousse a wonderful way to end a romantic dinner. 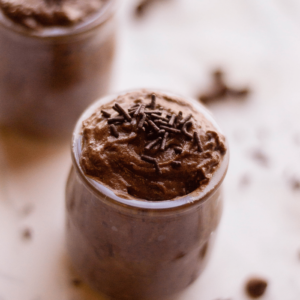 You can put on simple whipped cream on top of this mousse if you want to tone down on the chocolate a little bit. You can add extra crunch by putting in some wafer sticks and nuts. For a pop of color, you can also add strawberries, raspberries, blueberries or cherries on top of or in between layers of mousse. Yummy! You can also put a generous amount of berry compote on top of your mousse for an extra dreamy dessert! Marshmallows and cookies will also make this treat even sweeter. Add another layer of texture by making coffee jelly and layer it with the mousse. Not only will it taste delicious but it will also make it look fancier. 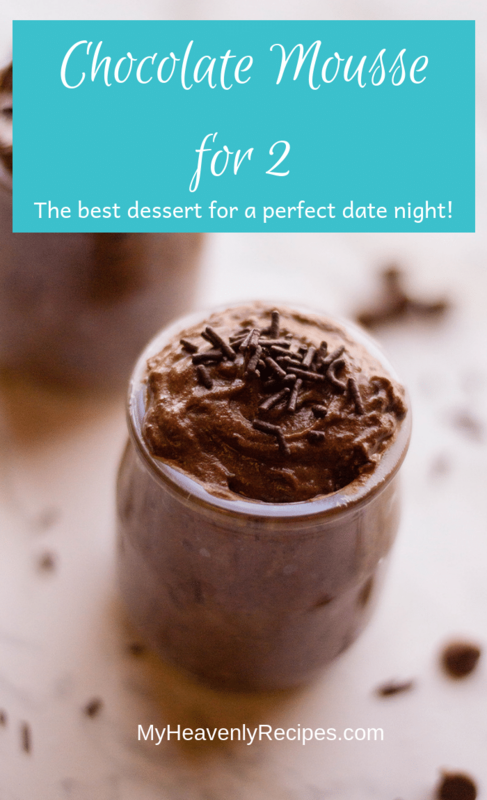 Perfect for dessert for 2 at home! Make sure to whip the egg yolks and cream well until the mixture thickens enough to fall from your whisk in ribbon-like drizzles. Using the double-boiler method, melt both of your chocolates and set aside. In a medium-sized saucepan, whisk together egg yolks, 1 tbsp sugar, and 1/4 cup cream over medium heat – do not allow it to boil. Remove from heat and add to your melted chocolate. Whisk and allow to cool. Using either a stand mixer or an electric mixer, mix the remaining sugar and cream until you get stiff peaks. Pour chocolate mixture and fold. Place into your serving dishes and allow to chill in the fridge for at least one hour. When serving, sprinkle with chocolate sprinkles.